The term inspection refers to the analysis pursuing the prevention of products that do not meet the quality standards. In other words, inspection is a process of examining products, its parts, sub-assemblies; and to determine whether or not they are up to the design specifications. Inspection is an essential component of any modern manufacturing system. It is a technique to filter nonconformities and assure quality. Innovative technologies have upgraded inspection mechanism to help overcome issues with traditional inspection or quality control processes. The manual approach to inspecting products is labor-intensive that leads to increased production costs and manufacturing lead time. The increasing number of products that don’t comply with specific standards add to additional cost of scrap and rework. There are four principal types of inspection and gauging systems that a manufacturer can deploy to carry out quality control (QC) activities effectively. Precision laser measurement sensors or machine vision is the basic form of a QC system that can be integrated into a company’s exiting process. Engineering companies usually offer technical assistance to manufacturers that have simple QC requirements. Some applications demand complex programming and support. Entry-level automated QC systems refer to sensors or machine vision cameras that can be installed inside of enclosures with a project device, light guarding, and controls to filter products. Turnkey quality control systems are built with multiple cameras and lasers to examine a single batch of parts or family of parts. These highly customized machines can operate for days unattended. In robotic inspection systems, robots move the part or the inspection device to carry out the inspection on complex parts. Over the past few years, sensor and computer technology have witnessed an unprecedented growth resulting in a growing acceptance of automated inspection tools across industries. Following the benefits of implementing automated technology for the maintenance of strict quality standards, manufacturers are now exploring innovative manufacturing methods that can drive accuracy and speed. So far as the manual quality control systems are concerned, they require time and expertise to inspect parts with respect to various dimensions and attributes. Some dimensions are critical in terms of function or assembly of a product. Manufacturers operating in a competitive environment cannot afford to produce low-quality products as their profitability depends directly on producing products that meet market expectations. This is why manual production techniques are largely replaced by smart sensors as automation reduces errors to a great extent. However, a business has to justify the implementation of automated inspection. Economic justification of an automation solution depends on whether the reduced labor cost and improvement in product quality are more than the investment. With the increase in complexity of production means, the error rate tends to escalate. Some inspection tasks are too complicated to be handled manually. Automated quality control, measurement, and inspection systems operate with high accuracy and produce incredible results. 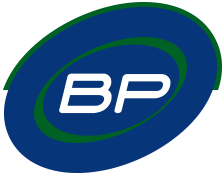 BP Automation is a growing engineering company in Canada where we design and manufacture state-of-the-art inspection and QC solutions for a wide range of industries. Discuss your inspection and measurement needs with us and see how we can help you improve the quality of your manufacturing processes.